New Directions Publishing Corporation, 9780811229050, 128pp. 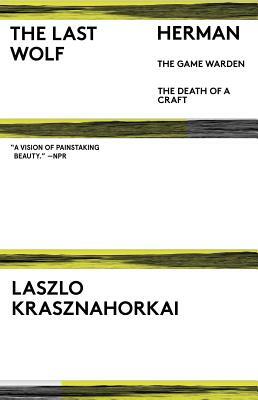 The Last Wolf (translated by George Szirtes) is Krasznahorkai in a maddening nutshell--it features a classic obsessed narrator, a man hired (by mistake) to write the true tale of the last wolf in Spain. This miserable experience (being mistaken for another person, dragged about a cold foreign place, and appalled by a species's end) is narrated--all in a single sentence--as a sad looping tale, a howl more or less, in a dreary Berlin bar to a patently bored bartender.